Mesothelioma is a rare but aggressive type of cancer. It is usually resistant to conventional treatments, including surgery, chemotherapy as well as radiation treatment. 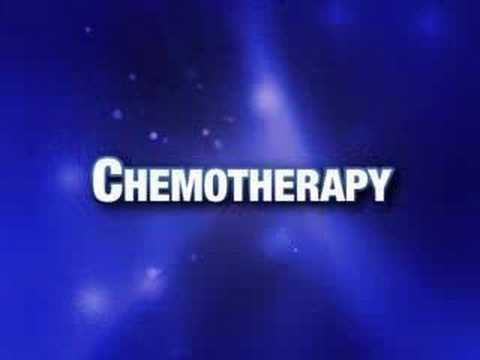 Mesothelioma is also hard to treat even with the combination of one or more of these treatments. Also known as malignant mesothelioma, one of the main causes of this condition is prolonged exposure to asbestos. Asbestos, a tiny particle when inhaled or ingested, will get stuck in the thin membranes surrounding the lungs (pleura), the heart (pericardium), and the abdomen (peritoneum). Typically there will be no symptom when one is affected but after about two decades upon the first exposure, symptoms will only then start to occur. As there is no symptom during the initial stages, diagnosis is extremely difficult, and for the fact that the long latency period and the challenges faced in diagnosing mesothelioma, this condition is generally not accurately identified until when the late stages are reached. Like other types of cancer, the methods used in treating mesothelioma become limited as the condition moves into advanced stages. Normally, mesothelioma treatments are not aimed to cure the cancer by itself, but rather to simply used as a mean to helping manage the symptoms and reduce the pain as well as the side effects of this critical condition. A recent study has analyzed the palliative effects of using radiotherapy on malignant pleural mesothelioma, or MPM. Radiotherapy is often used following a surgery or sometimes used in combination with chemotherapy. There are also times where all these three forms of treatment are applied together; surgery, chemotherapy and radiotherapy. The ultimate aim of these therapies is to slow down the malignancy progression thereby reducing the collection of fluids in the patient’s lungs. Secondly, these therapies are aimed to manage the pain as well as the symptoms of the conditions. Radiotherapy is often used as it is a non-invasive and non-painful method of cancer treatment. Radiotherapy works by using high rays of energy which could target and kill off cancerous cells. Despite the side effects that often comes with exposure to radiations, however, most mesothelioma patients are responding well to the treatments and are experiencing the great effects of symptom and pain reliefs. Side effects of this treatment however, could include fatigue, sore throat, nausea, redness on skin and even hair loss. Although the results from clinical trials of using radiotherapy to cure mesothelioma have not shown to be curative or even in extending the patient’s life, it has nevertheless, proven that the overall quality of life are improved by reducing their symptoms and pain. Another important thing to note is that the most successful treatment strategy used is by applying a multi-modal approach. Multi-modal approach refers to the combination of two or more methods of treatments. In addition, second line treatments could also help in some of the cases. If you or anyone of your family members have been diagnosed with mesothelioma, you can consult your treating physician or oncologist regarding the conditions. They may offer you the best suitable and available treatment for you. Next, turn to The National Cancer Institute for a whole deal of great resources about the conditions. You can obtain numerous information about the condition ranging from the latest research to clinical trials. You could also get to know what treatment may be available around your area.